Why Is CAIR Helping San Bernardino Terrorists After the Fact? The Council on American-Islamic Relations (CAIR) has sought the media spotlight following the San Bernardino terror attack last week. In the hours after the Dec. 2 attack, in which Syed Farook and his wife Tashfeen Malik killed 14 people and wounded 21 others, CAIR held a press conference featuring the family of the killers. It was an odd public relations strategy, given that the FBI had not yet been willing to call the attack an act of terrorism. Yet CAIR, in rushing to condemn it, confirmed that it was Islamic terror. In the days that followed, instead of distancing Muslims from the attack, CAIR almost seemed to insist on the association. Last Friday, for example, Hussam Ayloush, director of CAIR’s Los Angeles chapter, told CNN that the United States was to blame for provoking the attack through foreign policies Muslims found objectionable: “Let’s not forget that some of our own foreign policy, as Americans, as the West, have fueled that extremism,” he told CNN, listing several policy grievances. Not content with acting as a mouthpiece for the terrorists’ perceived demands, CAIR offered legal assistance to the family of the terrorists, appearing in court earlier this week to help Farook’s sister, Saira Khan, who is “eagerly awaiting to obtain custody” of the six-month-old baby that he and his wife abandoned before their attack. CAIR issued a press release drawing attention to its role, almost as if legal assistance were a kind of death benefit offered to would-be terrorists, ensuring their children’s welfare. CAIR’s actions do not meet the legal definition of “accessory after the fact.” But helping terrorists’ families, and broadcasting their political message–common practices of regimes that support terror, like the Palestinian Authority–is an odd way to carry out CAIR’s mission of improving “American-Islamic relations.” If anything, CAIR’s actions are calculated to inflame those relations. One might think that an organization that was once named an unindicted co-conspirator in a terrorism trial – and a designated terror organization in the United Arab Emirates – might be at great pains to distance itself from any new terrorist acts. But CAIR cultivates its notoriety because it serves the organization’s fundamentalist purposes. In addition, however, interfaith vigils at mosques serve a proselytizing purpose, helping to expose the curious public to Islamic prayer and practice. If many Americans have trouble distinguishing between radical Islam and Muslims in general, it is because radical organizations like CAIR deliberately blur the distinction, helping those who have declared war on the United States. 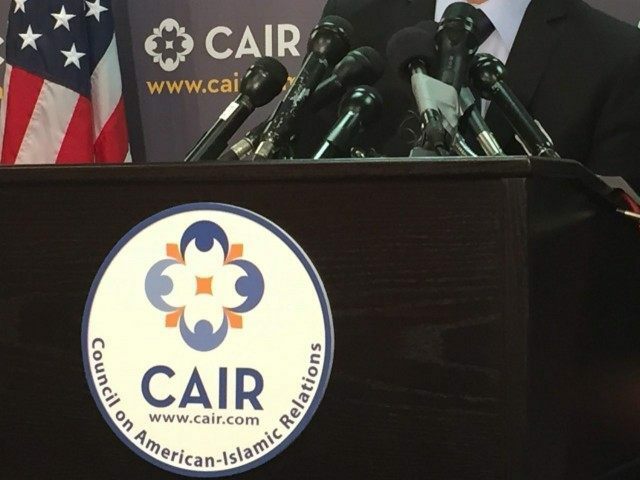 CAIR ought to be shamed for exploiting terror–not rewarded by the media and politicians as the leading, and legitimate, voice of American Muslims.